Broadcasters will now be able to stream their shows to Arabsat viewers around the world after Twofour54 establishes a satellite uplink platform from Abu Dhabi. The agreement will see Arabsat and twofour54 launch a new set of satellite TV channels on the Arabsat Badr-4 satellite. The agreement with Arabsat offers twofour54 partners and broadcasters across the region the ability to distribute content directly from the free zone. The satellite TV sector within the Middle East & North Africa (MENA) region is undergoing change and witnessing more demand for the latest satellite broadcasting services. This is one of the reasons behind Arabsat and twofour54’s decision to work together on strengthening the satellite broadcasting market both in MENA and outside. 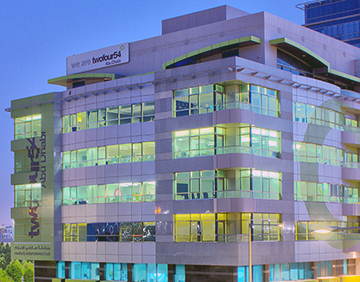 Maryam Eid AlMheiri, CEO of Media Zone Authority – Abu Dhabi and twofour54, said that the satellite uplink platform at twofour54 is yet another example of the thriving media ecosystem that is being built in Abu Dhabi, as well as the growing demand in the region for high-quality content. She added that content creation is at the heart of everything done at twofour54 and this development allows it to play an important role in distribution as well, noting that Arabsat has been serving the growing needs of the Arab world for more than 40 years and this service is yet another example of their commitment to the region. This uplink will provide great value to existing partners as well as even more incentive to those looking to join our community in the future. Eng. Khalid Balkheyour, Arabsat President & CEO, added that twofour54 is a remarkable community of content creators from across the world and from every part of the media industry. Arabsat is proud to expand its broadcasting partnership portfolio by launching a new bouquet on Arabsat Badr-4 satellite that will enable new, premium capabilities and quality of service for the firm's clients in MENA, as well as empowering twofour54’s clients to reach MENA, Europe and beyond. This all forms part of Arabsat's development strategy for the 26° East Hotspot.